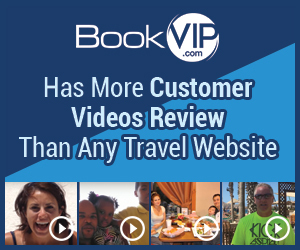 Next review BookVIP surpassed our expectations! Just returned from a week at the secrets royal beach. Had an outstanding time. Great food,service and staff. The best employee of our entire week was at the beach. Our beach bar server Leonebis did an outstanding job. We never waited for a drink. He was there all the time with our drinks. He was happy pleasant professional and served us with a smile. Thank you Leonebis for making our trip so wonderful. We appreciate your dedication and hard work. Thanks BookVIP for making our honeymoon unforgettable! Review #992359 is a subjective opinion of testimonial.